Imagine sitting on the beach, or walking into the woods, to focus intently on something found in nature that represents you and your life. What would it be and why? 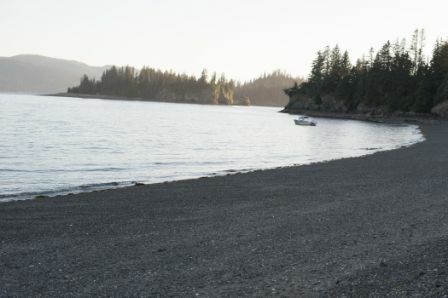 This exercise in mindfulness and re-connecting with nature was just one of the activities at a Wilderness Wellness retreat on Yukon Island, in beautiful Kachemak Bay, Alaska that took place this past July. Seventeen participants began their journey via water taxi from Homer, Alaska to the island. We were greeted on the beach by Gretchen Bersch, whose family homesteaded on the island in the 1950s. After settling into rooms with names like “Fireweed” and “Sea Otter Suite,” the participants gathered in the living room of Gretchen’s island home, aptly named The Dream House, with its expansive windows overlooking the ocean to frame the work of the weekend by learning about what wellness really is and understanding the six dimensions of wellness in our lives. The weekend’s activities included a gentle workout under sunny skies on the deck, and discussions of mindfulness as a foundation for wellness that were put in context as we ventured into the surrounding wilderness for different activities including, “I am found in nature” and sound mapping. A very early low tide on Sunday morning afforded us the opportunity to do a tide pool walk. At the beginning of the walk, participants picked a rock from the beach and carried it with them throughout the day. At the end of the day, we used the rock as a metaphor for the burdens we carry with us that weigh us down, and keep us from good health and happiness. We thanked the rocks for the lessons imparted, and then returned them to the ocean. Relaxed, refreshed, and re-connected to nature, retreat participants left the island with inspiration from nature and a plan in hand for making one small change to improve their health and well-being. 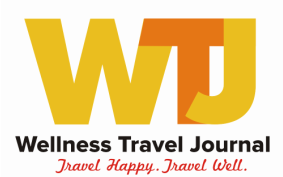 Jean Marcey is the Founder and Chief Wellness Officer of Wellness Wilderness. 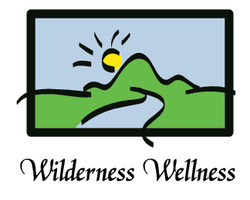 To find out more, please visit www.wildernesswellnessretreats.com or call Jean at 907-952-4897.